Abstract: As it is well known that, materials that have liquid crystalline properties are early discovered long time ago. These type of materials can carry both type of different types of matter (conventional liquid and solid crystal). Upon inserting such properly to the backbone of any polymer structure. It can enhance its amazing properties to be considered as one of the most and effective smart materials in the last few decades. The current work presents a short summary about the historical overview and some important basic fundamentals of liquid crystalline materials and its different types of calcifications. 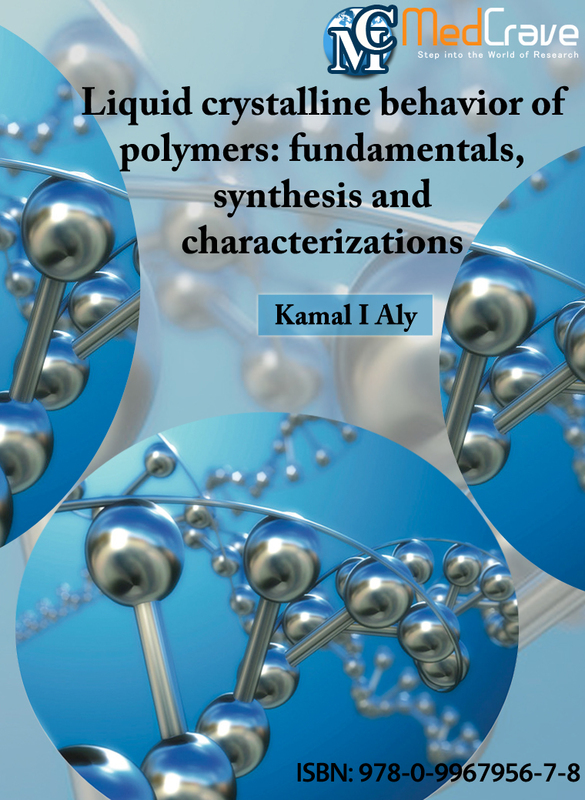 In addition, a detailed study about liquid crystalline polymers (LCps) have been described classifications and synthetic method. Both types of these polymers were discussed including main chain or side chain polymers. The effects of mesogenic groups, structural unit, substituents and flexible spacers on the thermotropic properties were also displayed. Finally, a brief overview for the ethers, arylidenes, arylidene-ethers, azomethine-ethers, and hydrazone-ethers containing liquid crystalline polymers and their copolymers was illustrated.